A couple of weeks ago, I was in Superdrug with my mumma and we noticed an “everything £1” stand, so naturally, we spent a good ten minutes rummaging through everything on there. I somehow managed to contain myself and only grab two items, although now I wish I’d bought way more, both being from a brand that I had never heard of or seen before, but I thought they would be interesting to try out! Both items are from a brand called Beauty UK Cosmetics, which at the till, the cashier told me that some of her friends had said that their products were on par if not better than Revlon! So I had high hopes after hearing that and let me tell you, they did not disappoint! 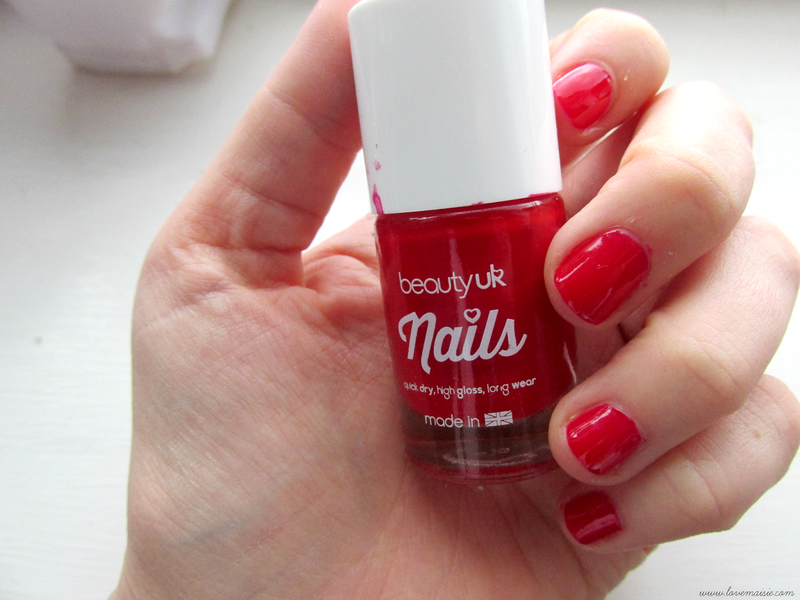 Retailing usually at £2.99, I bagged myself a bargain really with the Post Box Red nail polish, but £2.99 is still peanuts, especially because of the quality of this nail polish! You do definitely need two coats of this colour to get the described shade as one coat is very pinky. This nail polish has a really thick but easy to apply consistency and has a really great lasting shine and wear, just as it states across the bottle! I was super, duper impressed with this little bottle of wonder as I find that pretty much all of my nail polish’s chip within the first day, but I kid you not, this Beauty UK nail polish managed a good two or three days without a single, tiny chip, impressive stuff hey! The “Wet” Vampire Lipstick retails at £3.49 full price, which again is a fairly cheap/standard price for a high street lipstick. All of the Beauty UK lipstick are available in the “wet” consistency, not overly glossy but a gorgeous finish all the same, and also in matte. 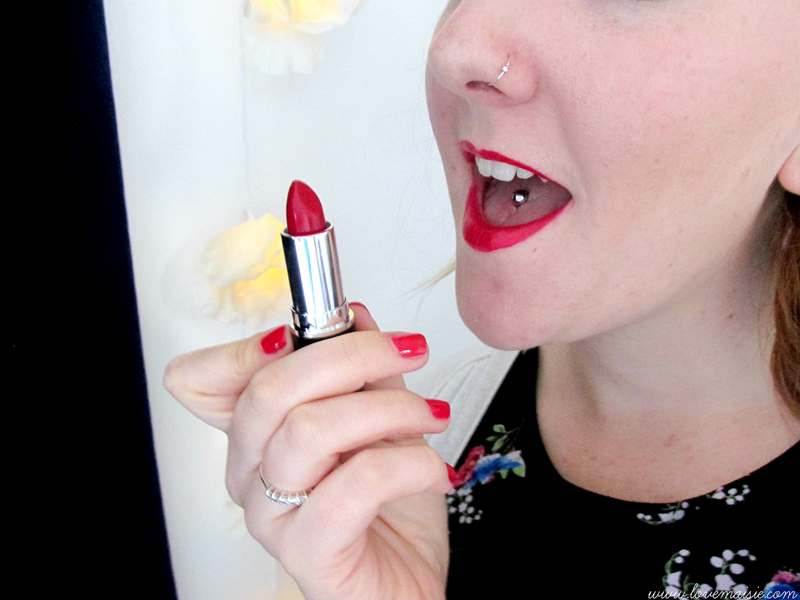 Vampire is a cool toned, vibrant red, which I will highly recommend to everyone as a cheap, staple red lippy. This lipstick is super pigmented and lasts really well on the lips. It has a similar feeling as the Collection lipstick’s and ya’ll know I love my Collection lippys. 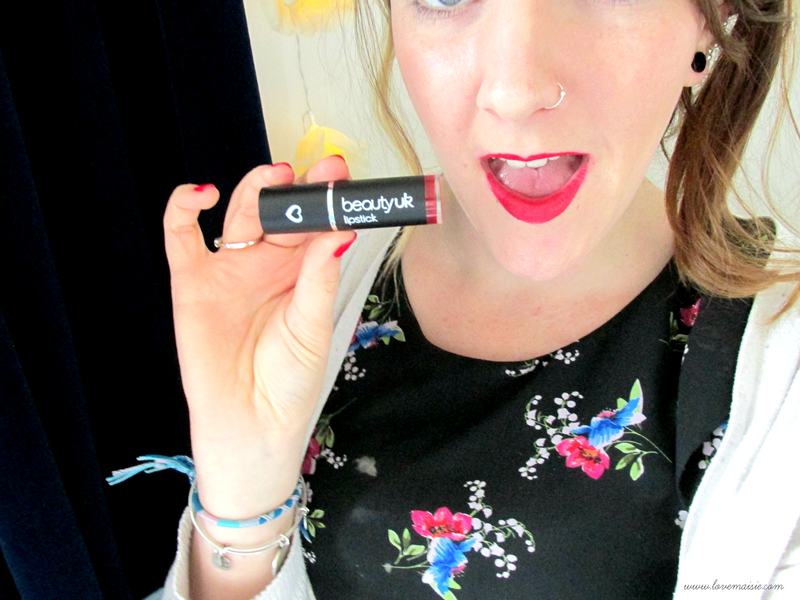 Oh, I forgot to mention that all of the Beauty UK lipsticks have a minty scent/flavour on them which I didn’t realise until I applied it! I’m assuming that the idea of this is to “freshen your breath“? Either way, it smells and taste lush.. not that I licked the bullet or anything. Don’t judge me, I know you’ve done it too. 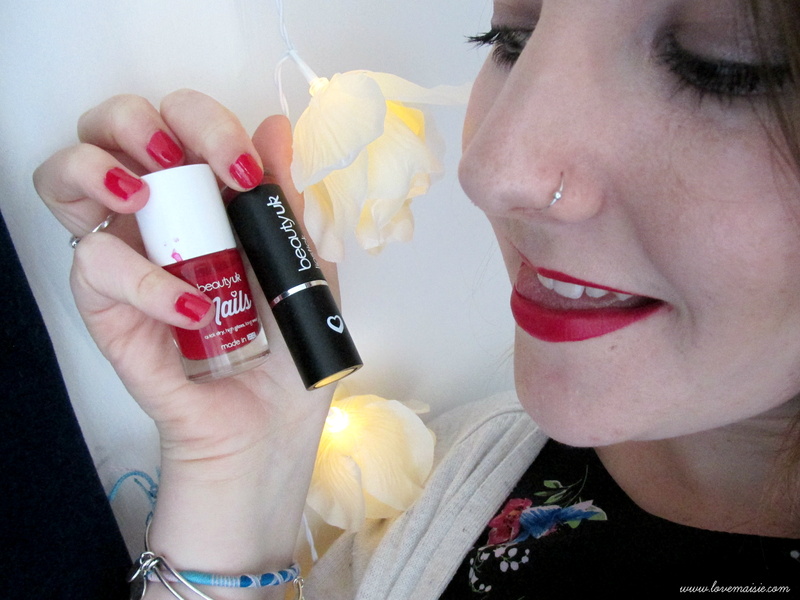 So overall, I’m super impressed with both of my Beauty UK purchases and will definitely be going back out to purchase a couple more shades of the lippy and try out some of their other products too! Both of these products are available online and can also be purchased from most Superdrug stores. Have you tried Beauty UK Cosmetics yet? What did you think? Do you rate them as highly as I do? Let me know!